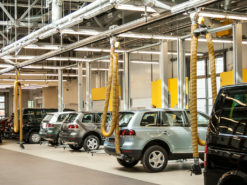 The safe and efficient removal of exhaust fumes is paramount for the health, safety, and efficiency of your staff – especially when working inside large transport depots, service stations or automotive factories. Even short exposure to vehicle exhaust fumes can be harmful. 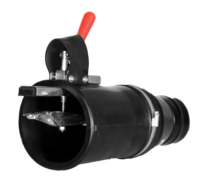 SovPlym solutions are designed to capture 100% of toxic gases and particles at a source and remove it from your premises. Reducing health risks, ensure you comply with regulations, and increase efficiency through smooth, clean operation. 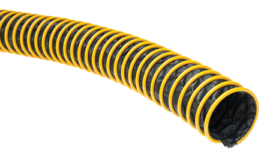 Our systems are widely used in transport depots, service stations, automotive plants and military facilities. We also offer a range of customized products specially developed for Fast Response units such as fire brigades, rescue services, and other emergency units. 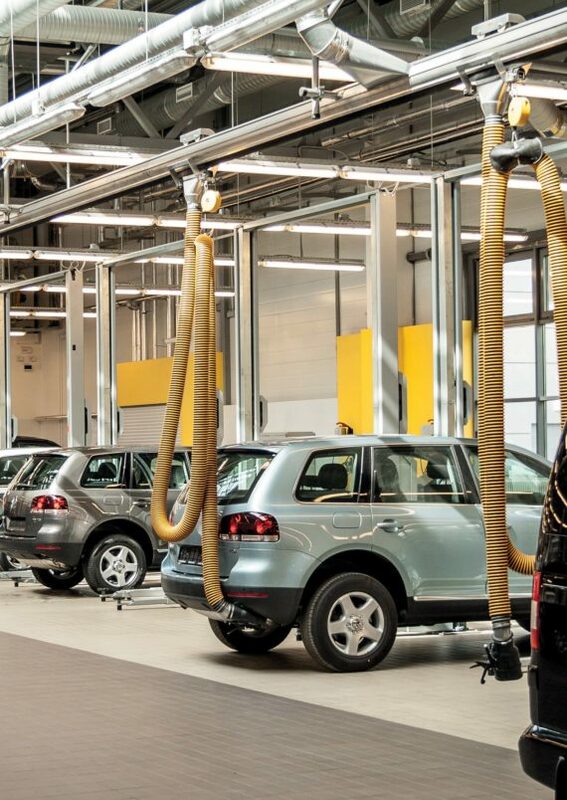 Our self-detachable pipe nozzle detaches automatically when a vehicle leaves the garage in case of an emergency call. 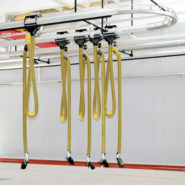 Specialized retractable hose reel and rail systems with carriages follow the vehicle inside the depot where necessary and keep emergency pathways clear at all times. 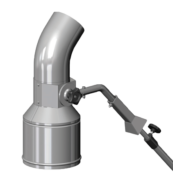 Exhaust extraction nozzle for vertical exhaust pipes.